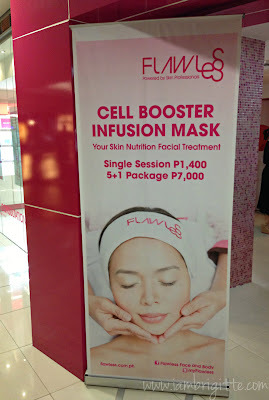 A few months ago, Flawless launched the country's first affordable stem cell-based product line which utilizes plant stem cell technology to revive the skin's youthful appearance. But Flawless isn't stopping there...recently, they launched their latest advanced facial treatment yet, the Cell Booster Infusion Mask. 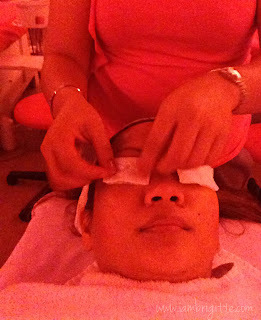 Our friends from Flawless invited yours truly, and other bloggers, to experience the treatment. 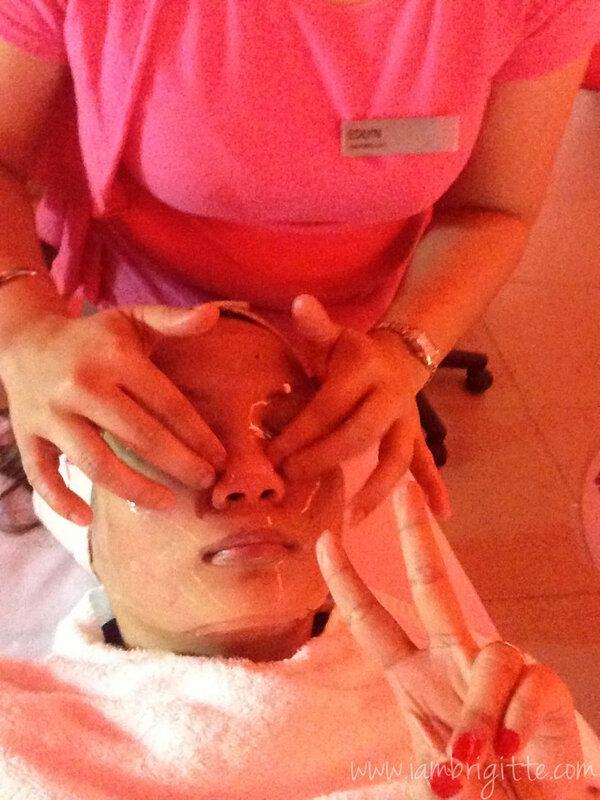 Steaming has got to be the most important part of having a facial. It helps open the pores, making pricking easier and less painful. 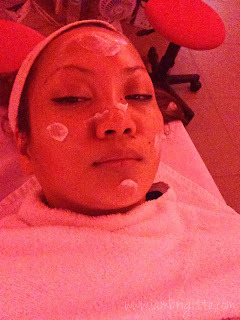 There are some facial clinics that don't do this steaming part (or if they do, they don't do it properly or long enough) and I tell you, it feels like your face is being scraped. I've experienced this from a clinic which offered facial services at discounted rates and I almost walked out in the middle of the procedure. 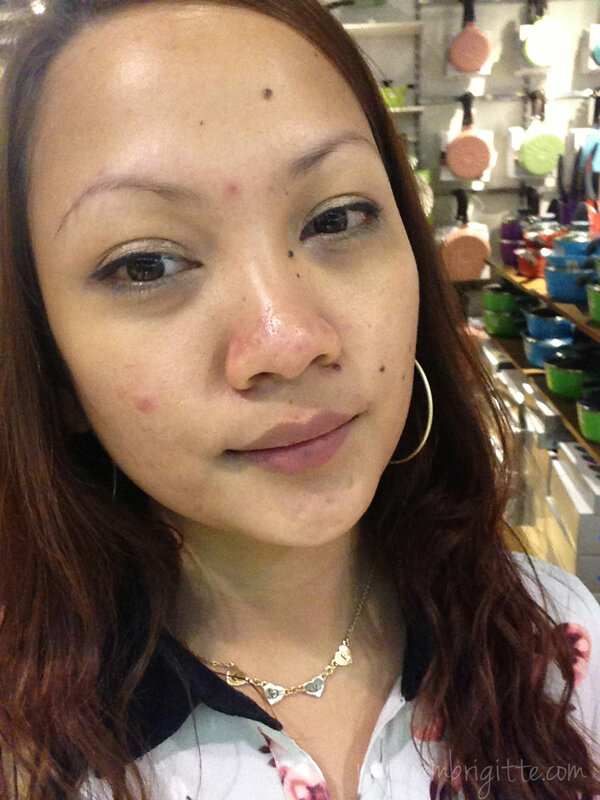 So be careful of buying from deal sites, most especially if it's something that has got to do something with your dear skin. Anyway, after 10 minutes of steaming, and my hands wrapped in heated gloves, the aesthetician proceeded with the pricking. It's the part I dread the most, but surprisingly, it wasn't that painful. 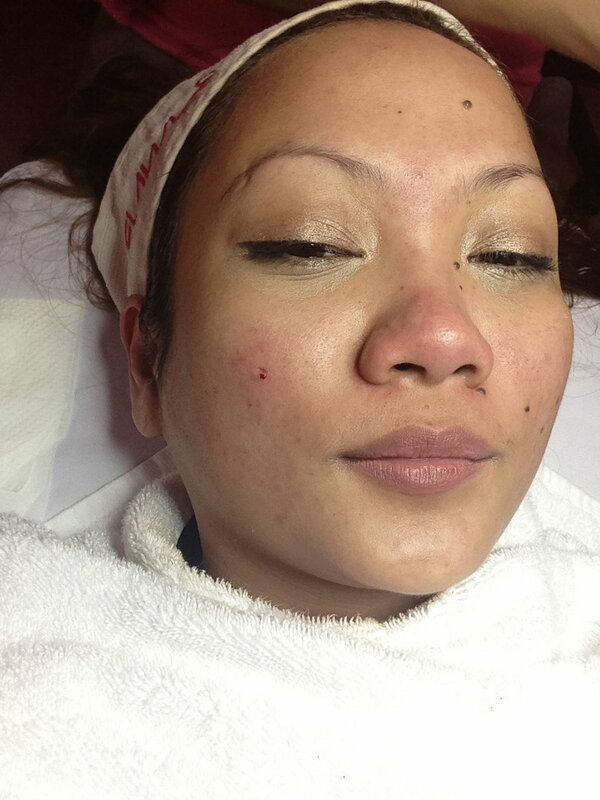 By the way, it doesn't hurt to ask your aesthetician to be a little more gentle during pricking...or to actually tell her to stop for a while when you can't take the pain anymore. I used to not say a word even though it hurts...I was too shy and I'm worried that they might think I'm being maarte. 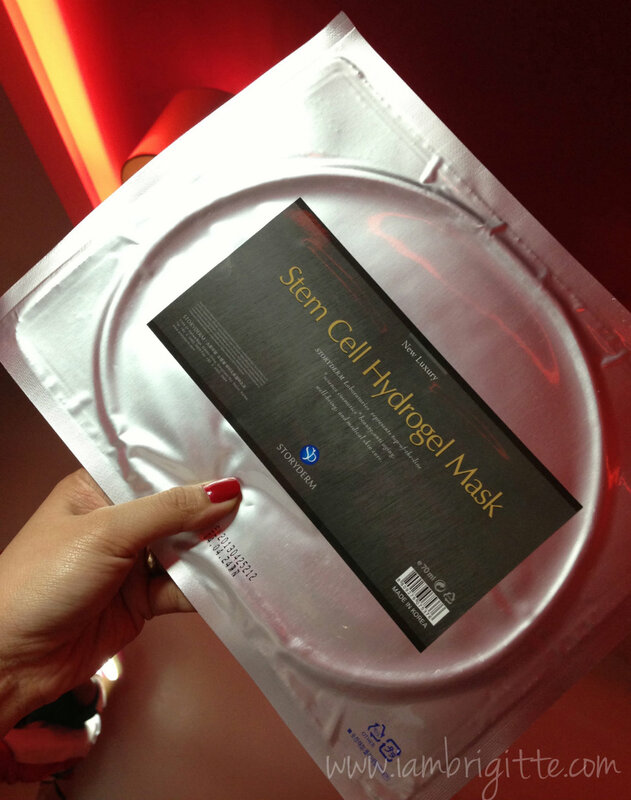 The stem cell used in the mask is from the extract of a specific type of apple, which itself is a powerful antioxidant. The Cell Booster Infusion Mask is designed to perform two main functions: 1) combat the effects of and protect our skin from destructive free radicals that we encounter everyday and 2) rejuvenate and improve our skin's cell architecture by nourishing it and encouraging the tissue regeneration process. 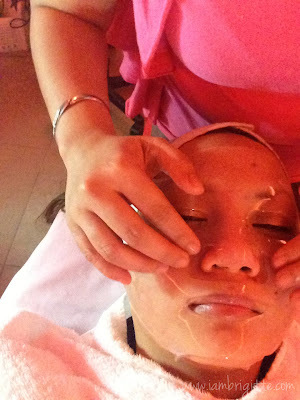 Thru the mask, the essential nutrients are being delivered to the skin at cellular level. The mask itself contains highly concentrated essence of cell-activating nutrients, to increase the skin's elasticity, minimize pores and the appearance of fine lines and wrinkles while giving the skin an undeniable glow. The mask has a sweet smell to it, which I find relaxing. It also leaves the skin feeling cool, fresh and invigorated. It definitely helps lessen the pain you get from the pricking. I look like a big nata de coco...ready to join the halo-halo! 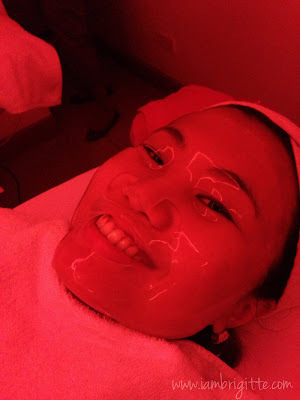 The mask is left on the face for 10-15 minutes, then you are good to go. And here's me looking fresh even after a facial...Well, my skin would usually look sore after a facial..but this time, it doesn't! The Cell Booster Infusion Mask is priced at Php1400, and it already comes with a facial. Ideally, it's recommended to have this treatment at least twice a month, most especially if you have dull, problematic skin. But if not, once a month is okay. 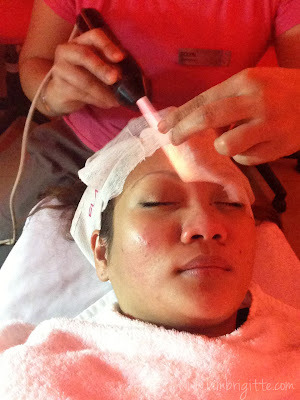 This treatment is available at all Flawless clinics nationwide. For more information, please visit the Flawless website here. Just to say I love your blog and think posts like this are fantastic! How I love to try this procedure. This seems a great way to bring back the youthful glow of one’s skin. But is this safe even for the younger ones?